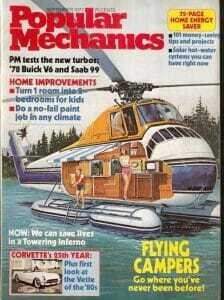 The magazine specialized in really cool ideas that 14-year-old geeky boys like me ate up in the 1970s. But most of them share in common with Elon Musk's ideas that they will never be practical. So it is not surprising that Popular Mechanics put out an absolute puff issue on Elon Musk, apparently aimed at helping the man Popular Mechanics loves rehabilitate his reputation after getting some bad press for making false promises and breaking securities laws. The piece was such a hopeless PR piece masquerading as journalism that the Atlantic felt the need to call them out for it. Other readers, particularly journalists, were flabbergasted, including several Popular Mechanics staffers and contributors who declined to speak on the record because they feared jeopardizing their jobs. “It’s not the job of a magazine to do some PR recovery efforts for somebody exhibiting unstable behavior just because you like that he makes cool cars and rockets,” one Popular Mechanics writer said. (Disclosure: I worked at Popular Mechanics as a web intern for about a month in 2012.) For many journalists, the essay collection was a love letter bursting with unbridled, unfiltered admiration for Musk, a public figure the magazine covers, regularly and objectively. The material reads as if it came straight from the public-relations managers whose jobs are to make their boss look good. I am perfectly willing to acknowledge Musk's good points, as I did in my long essay linked above, but in my opinion Musk is leading a lot of very naive investors over a cliff. Go read the Tesla fan boards and the $tsla tag at twitter and you will see a series of investors who have never bought a stock before talking about how they put all their savings into Tesla. Ugh. Magazines like Popular Mechanics have some responsibility not to shamelessly tout a high-risk stock to naive investors. For those who don't want to read my whole essay, the biggest problem at Tesla is that Musk has promised a lot of things, all of which take capital which it is increasingly clear Tesla does not have. The promised Semi, pickup truck, coupe, solar shingle, China expansion, EU sales of the model 3, expansion of the sales and service network, bringing body shops in house, implementation of full self-driving -- not to mention repaying a growing accounts payable backlog and over a billion dollars in debt coming due in the next 6 months -- all will require billions of capital and Tesla is hitting bottom. Musk claims he will be able to fund this with organic cash production but this almost has to be an outright lie. He needs to raise equity, but has not done so when his stock was at all-time highs. Now that he is in trouble with the SEC, rumors swirl that he may not be able to raise new capital. If he cannot, Tesla will be bankrupt in 6 months or less. Tesla might survive if it can find a white knight (though many of the obvious candidates have turned him down) but this is a lot of risk for noob investors to take on and a lot of risk to simply IGNORE in a Popular Mechanics puff piece. By the way, is the balance problem on Elon Musk coverage really a dirth of hagiography? This is the man the press explicitly calls the real life Tony Stark. If anything, he needs that guy referred to in the final seconds of the movie Patton, the person who rides with the Roman general during his Triumph and whispers in his ear that all glory is fleeting. I have no problem talking about the wonderful things Musk has helped push forward (and I do) but good God aren't you obligated to also include stuff like this, out of his own mouth? You can click on the tweet and see my whole response, but eschewing 3rd party dealers and having its own sales and service network has been a Musk strategic pillar for 8 years. The production ramp for the Model 3 is years behind. And the CEO just looked at the map and realized they did not have enough service locations even for their less-than-expected sales? This may be a great idea man and visionary and man who can get great efforts started, but this is not the tweet of a great, or even a good, CEO.